This IDBI Bank education loan is available to Indian nationals who have secured admission through merit based selection or entrance test procedure after finishing the 10+2 higher secondary examination or alike. Additionally, students who have secured extra marks above the standard marks under the management quota requirement for merit based examinations for the general/girls/ST/SC or OBC specifications of that institution are also eligible for the IDBI Bank student education loan. Courses which are approved for Graduation or Post Graduation and PG Diplomas by educational institutions in India such as universities or colleges which are accepted by the Government, UGC, AICTE, AIBMS, IMCR, etc. After 10th standard, for technical diploma which are being offered by polytechnic institutions for 3 years. Job based courses for professional or technical degree, post graduate and diploma in approved institutions. Courses which are approved and offered by renowned foreign schools and universities of India. Cases where the course needs to be done in India and abroad as well, finance will be offered for the part done in India. Graduation courses (particularly job based) for professional or technical degree from approved institutions. Courses which are offered by CIMA London. Post Graduation for MCA, MS, MBA etc. Special Course: The loan for courses is also provided by IDBI Bank for diplomas or degrees for pilot training, shipping, aeronautical by recognized bodies for the purpose of employment in India or outside India. This is based on the repaying capability and income of the parents and students, however the maximum loan amount that can be given for studying in India is Rs. 10 lakhs and outside India, it is Rs 20 lakhs. The moratorium period as per IDBI rule is duration of the course plus 1 year or 6 months post getting a job, whichever is earlier. The repayment period for loans till Rs. 7.5 lakhs is up to 10 years and above Rs. 7.5 lakhs it’s up to 15 years. Loan amount above Rs. 4 lakhs do not require any security. 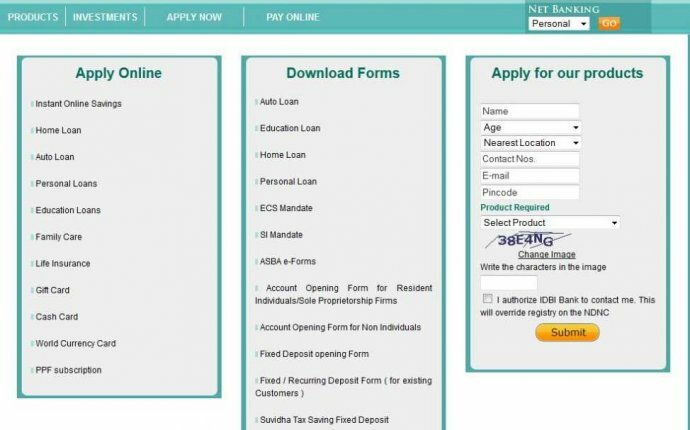 IDBI Bank education loans between Rs. 4 lakh - Rs. 7.5 lakh require a third party guarantee. Land or building and not agricultural - The minimum value should be 1.33 times of the loan amount. Units of KVP, NSC, LIC, UTI, Government Securities, mutual funds, debentures, gold, share, bank deposit in parent’s or student’s name- minimum value is to be 1.1 times as per the margins set by the bank. The fees which are payable to the school, hostel or college. Fees for library, exams and laboratory. Expenses for uniforms, books, instruments, equipments. Expenses incurred for travel during course time. Expenses for laptops and computers. Insurance Premium for student if there is any. Caution deposit which should be less than 10% of the entire tuition fees. For loan amounts above Rs. 4 lakh, 5% would be the margin.